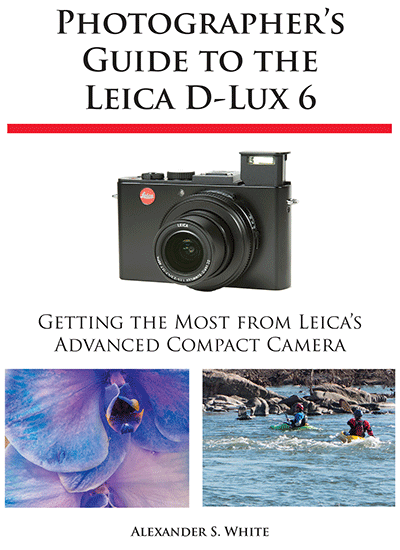 White Knight Press has released its newest camera guide book, Photographer’s Guide to the Leica D-Lux 6: Getting the Most from Leica’s Advanced Compact Camera. The book is currently available on Amazon as a paperback ($23.30) or Kindle edition ($9.99). 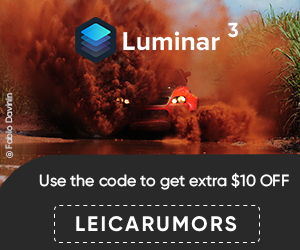 The Leica D-Lux 6 is one of the top choices for photographers who want an advanced camera they can carry around to capture great images without the complication and weight of a DSLR or other large camera. With features such as a very fast lens with an aperture of f/1.4, excellent image quality, and a solid array of burst-shooting capabilities, the D-Lux 6 has attracted an enthusiastic following. However, the camera does not come with a detailed printed manual for reference, making it hard for users to find answers to questions about the use of the camera’s many controls, menus, and features. With the release of this guide book to the D-Lux 6, White Knight Press has provided users with a comprehensive guide to all operations of this sophisticated camera. Using a patient, tutorial-like approach, the book provides guidance to beginning and intermediate photographers about how to accomplish things with the D-LUX 6, as well as when and why to use the camera’s many controls, menus options, and other features. The book does not assume specialized knowledge by the reader as it explains topics such as autofocus, manual focus, depth of field, aperture priority, shutter priority, exposure bracketing, white balance, and ISO sensitivity. The book also provides details about the camera’s numerous options for playback, setup, and customizing the operation of the various buttons and other controls. The book contains approximately 400 photographs, almost all in full color, illustrating the D-Lux 6’s controls, shooting screens, and menus. The images also provide examples of the various types of photographs that can be taken using the many creative settings of the camera, including the Creative Control settings, which let the photographer alter the color processing and other aspects of images; the Scene shooting mode, with settings that are optimized for various subjects, including landscapes, portraits, and action shots; the Photo Style menu option, which provides the ability to customize the appearance of images; and the camera’s strong array of features for continuous shooting and shooting in dim lighting. In addition, the book goes beyond the bounds of everyday photography, and introduces more advanced topics such as infrared photography, street photography, digiscoping, astrophotography, and High Dynamic Range (HDR) photography. The book also includes a full discussion of the video recording abilities of the D-Lux 6, which can shoot high-definition (HD) video with stereo sound, and which offers manual control of exposure and focus during movie recording. In three appendices, the book provides information about accessories for the D-Lux 6, including cases, external flash units, viewfinders, and filter adapters, and includes a list of web sites and other resources for further information. The book includes a detailed appendix with helpful Quick Tips with insights into how to take advantage of the camera’s features in the most efficient ways possible. The PDF version of the guide book to the D-Lux 6 includes a comprehensive, interactive Index and Table of Contents, so the reader can quickly find needed information about any particular feature or aspect of the camera. The book is available now to download for $9.95 in a PDF version from www.whiteknightpress.com. The paperback version will be available by mid-March 2013 for $24.95 through Amazon.com and other online sellers. The book also will be available for purchase later in March in a Kindle version at Amazon.com and an ePub version for iPads and Nook readers. This entry was posted in Leica D-Lux and tagged Leica books. Bookmark the permalink. Trackbacks are closed, but you can post a comment.